There are two types of Wolf Garten Secateurs (Wolf pruners); anvil and bypass. Bypass secateurs are by far the most popular option. If you're using secateurs with an anvil cutting action to perform the majority of your pruning in the garden, chances are that you're using the wrong tool. Keep reading to find out more. To make the most of your garden or outdoor space you need the right tool for the job, Wolf Garten Secateurs are a gardening essential as far as we are concerned - with an extensive range to browse; the first question to answer is which type will suit your needs best. Here are the key differences between anvil secateurs and bypass secateurs. We recommend Wolf Anvil Secateurs for pruning dead wood and hardier stems only - cutting jobs where more power is required. We recommend Wolf Garten Bypass Secateurs to virtually all of our customers as the best option for all round use - they produce a trusted and precise clean cut time and time again. 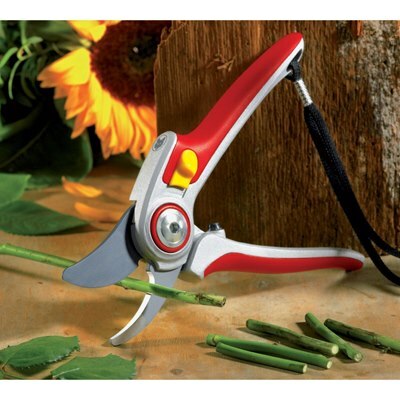 Wolf Garten Secateurs are tested for up to 100,000 cuts, built to last and work as they should for years to come. Both the bypass and anvil models feature non-stick blades which are precision ground for optimum performance and precise cutting. 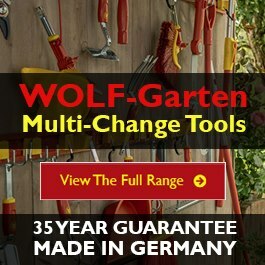 Wolf Garten Secateurs are also backed up by the manufacturer's 10 year guarantee. The Wolf Garten range is extensive; with bypass and anvil options to suit all hand sizes and cutting needs. All models are designed primarily for the right handed user but may be used by anyone. 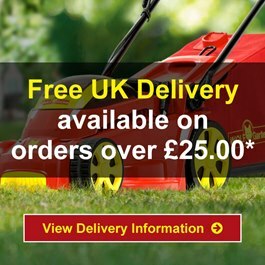 If you're unsure how best to proceed then then please feel free to call our team of Wolf Garten Experts on 0208 829 8850 and we'll be happy to help you choose the pair which is right for you.